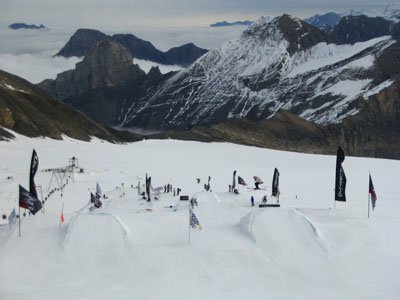 This weekend somewhere far from any pollution or noise, some of the best freeskiers in the world got together to participate to the second Rip Curl freeskiing contest at Les Diablerets in Switzerland. 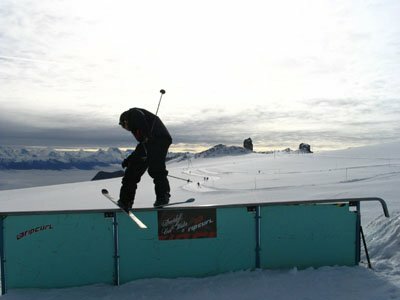 Les Diablerets means Little Devil so its the prefect place for kids like Mickael, Charles, Jon, Larose and the rest of the crew to do a contest. 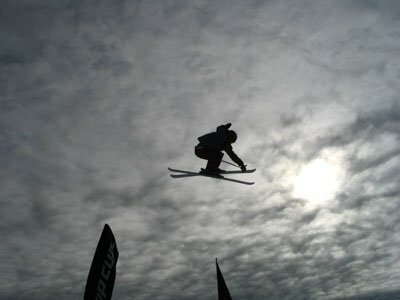 Friday was the first day of the slopestyle but it was so cloudy that none of the athletes decided to compete. So what do you do in Switzerland when you have nothing else to do? Just chill. Friday night Dynastar and skipass.com did a presentation of Red Tape by Plehouse in a little bar/restaurant , it was pretty chill but all the athletes had a chance to watch the movie in a relaxed environment - and they all liked it (at least thatÃ¢â‚¬â„¢s what they told meÃ¢â‚¬Â¦). Saturday, was when everything went down . The course was almost perfect, a bit icy but everyone was able to carry speed for all of the jumps. Again it started cloudy but the sun came out for the first two runs of finals. Unfortunately they had to postpone the super final because of the wind. Jon like always started the freak show bright and early with some cab 5 to 7 to 270-on the gap railÃ¢â‚¬Â¦ But the frenchies couldnÃ¢â‚¬â„¢t let it go like that so Laurent Favre went off with some styley cab 720s and 540s. But the real contest was just starting. Like a real Quebecer (hahahah) Charles Gagnier did what he had to do to get into final. So we had Jon, Charles, Laurent, Booth, AurÃƒÂ©lien Fournier , and Peter Olenick Competing for 5000 euros in the finals. Jon took the lead for a bit after Laurent killed it, so its was CharlesÃ¢â‚¬â„¢ turn to do his thing - and he did it right with some 540 true tail to cab 720 nose grab and cab 540 nose, but the most impressive thing was the 270 on 270 out on the big gap rail, he was the only one that did it. (sorry I don't have any pictures because I was judging). 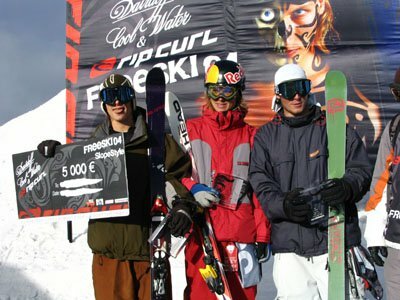 So overall, today was a good day, all the French riders did really well and the level of the contest, for so early in the year, was really high. 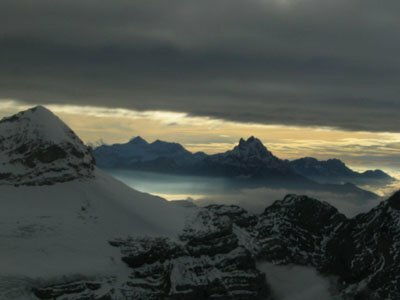 IÃ¢â‚¬â„¢ll let you all take in the best picture of the day: the Swiss AlpsÃ¢â‚¬Â¦ what a dream. 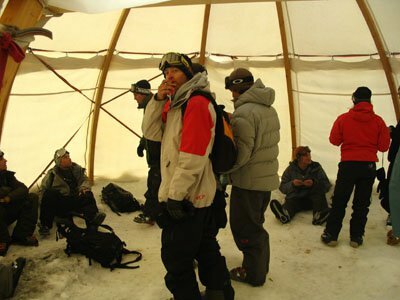 The pipe is tomorrow so good luck to everyone.